Adding an outdoor living space to your home starts with finding the right porch and deck building contractor to work with. Locals here know the company name to trust in is LT Construction & Remodeling, Inc.
With over a decade of hands-on expertise in the industry, we are proud of the impeccable reputation that we have managed to build for ourselves. So, if you are ready to start getting serious about adding this element to your home, LT Construction & Remodeling Inc. is here for you! More and more homes include a deck or porch because it is such a desirable feature and premium selling point. However, if your house does not already have one, it is time to add one on. Above all else, adding this type of outdoor living space gives you and your family a place to enjoy the great outdoors. It is a way to invest in the house you have, beyond your interior walls. Of course, this adds value to your home. 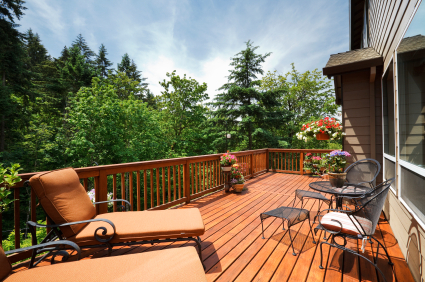 Getting a high-quality deck or porch added on will increase the property value, making it a worthwhile investment. This also gives you the ideal space to host events now. Trying to have gatherings inside your home can make you realize how cramped conditions are. Plus, whoever does the cooking ends up stuck in the kitchen and missing the party. Having a deck or porch provides you with an alternative solution. Want to learn more? Give our experts a call and let us schedule a consultation time to discuss the options that you have for porch and deck building. If you need to hire a professional remodeling contractor in Massachusetts, call LT Construction & Remodeling at 508-873-0966, or complete our online request form.